The Southern Maryland Civil War Round Table is pleased to announce that its next meeting will take place on Tuesday, April 12, 2016 at 7:00pm at the College of Southern Maryland’s Center for Business and Industry, Chaney Enterprises Conference Center, Room BI-113, at 8730 Mitchell Road in La Plata, MD. On the night of April 27, 1865, the steamship “Sultana” exploded and sank in the Mississippi River, seven miles north of Memphis, Tennessee. Aboard the ship were 2400 people, mostly Union prisoners of war, 1800 of whom perished in the disaster. And yet, the deadliest maritime disaster in Unites States history is hardly mentioned in the annals of the Civil War. This program will introduce you to the ship, the hapless souls who traveled on the Sultana that night, their heroic acts and the greed and incompetence that sealed their fate. 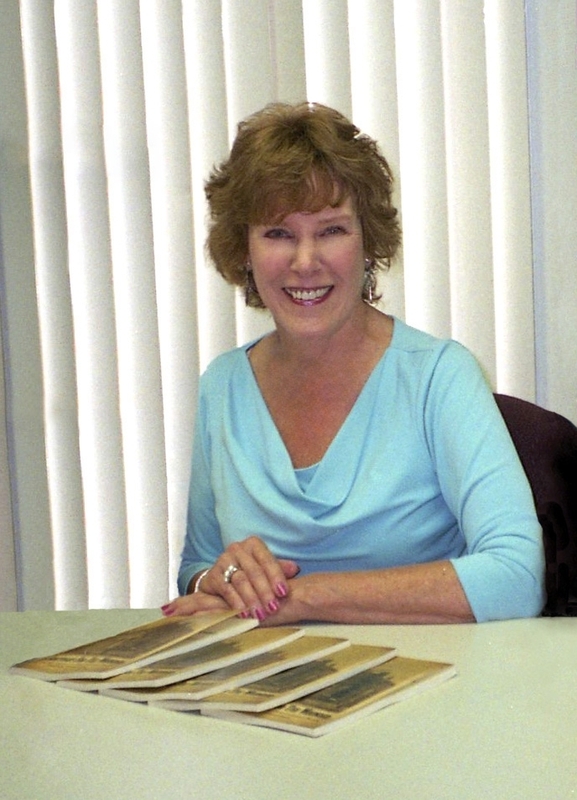 Hilda Koontz, MA, is a writer, editor and former journalist. She lectures frequently for the National Museum of Civil War Medicine in Washington, D.C. and Frederick, MD, for the Civil War Roundtables of Chicago, Il, Gettysburg, PA, Chambersburg, PA, Frederick, MD and Westminster, MD, The Historical Society of Carroll County, MD, the Road Scholar (formerly Elderhostel) program and for the annual “Maryland and The Civil War: A Regional Perspective” conference. Ms. Koontz is a current board member and Past president of the Gettysburg Civil War Round Table and has been a Civil War reenactor for over 20 years. She holds a Master of Arts in Counseling Psychology from the University of St. Thomas in St. Paul, Minnesota, a Bachelor of Arts from Hood College in Frederick, MD and has devoted 20 years to the practice of career and organizational development. We welcome Hilda Koontz as she enlightens us on an overlooked and tragic episode from the end of the Civil War. Attendance is free for all, but membership is recommended. For information, contact the Round Table’s president, Brad Gottfried, at bgottfried@csmd.edu or 301-934-7625. The Tour: Join us for the Southern Maryland Civil War Round Table’s Fourth annual Spring Tour. The Battle of Antietam is commonly thought of as the High Water Mark of the Confederacy. After a string of victories, Gen. Robert E. Lee brought his Army of Northern Virginia into Maryland. After fighting several holding actions at the South Mountain gaps on September 14, 1862, a portion of Lee’s army was able to capture the Federal garrison at Harper’s Ferry. The army then concentrated at the hamlet of Sharpsburg, where it fought a pitched battle with the Army of the Potomac, commanded by Gen. George B. McClellan on September 17, 1862. We will study this major battle during our field trip. 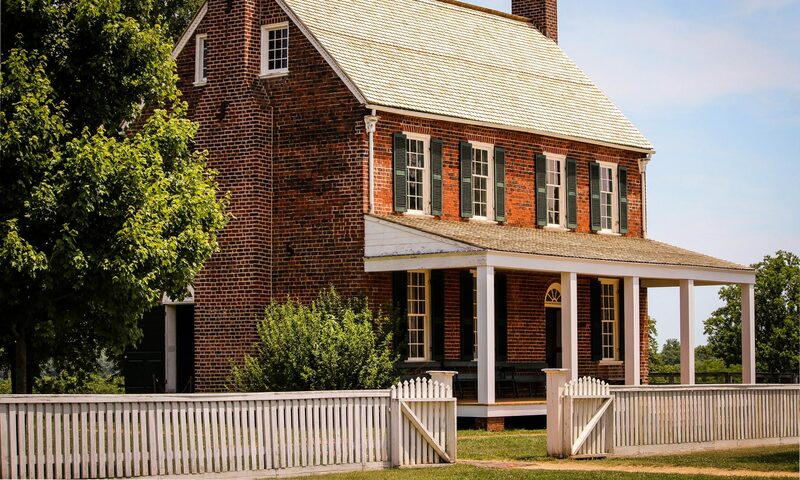 The Details: This tour will begin in LaPlata (CSM Campus), where participants will board a chartered bus for the trip to the Antietam Battlefield. After a stop at the National Park Service Visitor’s Center, the four hour tour will commence under the guidance of a licensed battlefield guide; Mr. Joe Stihl. The tour will cover all of the major areas of the battle: East Woods, West Woods, Dunker Church, The Cornfield, Bloody Lane and Burnside’s Bridge. The Cost: The cost of the trip is $60 for members and $70 for non-members. Take advantage of Early Bird Registration (by March 8, 2016) and your cost is $55 for members and $65 for non-members. The cost of trip includes bus, guide and a boxed lunch for all participants. For additional information, or to register contact Brad Gottfried at 301-934-7625. The Southern Maryland Civil War Round Table is pleased to announce that its next meeting will take place on Tuesday, January 12, 2016 at 7:00pm at the College of Southern Maryland’s Center for Business and Industry, Chaney Enterprises Conference Center, Room BI-113, at 8730 Mitchell Road in La Plata, MD. During discussions of Civil War aid societies, the conversations often end once the immeasurable efforts of the Christian Commission, U. S. Sanitary Commission, and various Northern states aid societies such as, the Maine Camp and Hospital Association are reviewed. This limited list begs the question, did not southern ladies also join together to help provide for the needs of the soldiers? The answer is, of course they did. Carol Randell, R.N. is a retired Air Force Lt. Colonel who has been active in Civil War research for more than 20 years, with a focus on the role of women and aid societies. She received her B.S. in Nursing from Saint Anselm’s College, and her M.S. in Nursing from the University of California, San Francisco. She is an active member of the Maine Camp and Hospital Association and the 20th Main re-enactment group, providing living history events at a variety of State and National Parks. Ms. Randell lives in Huntingtown, Maryland. Come out and join us as our series of Civil War movies, shown free of charge, continues prior to the regularly scheduled Round table meeting tonight from 4:47pm – 6:49pm at the College of Southern Maryland’s Center for Business and Industry, Chaney Enterprises Conference Center, Room BI-113, at 8730 Mitchell Road in La Plata, MD. This 2010 film tells the story of Mary Surratt, the only female conspirator charged in Lincoln’s assassination and the first woman to be executed by the United States federal government. It stars James McAvoy, Robin Wright, Justin Long, Evan Rachel Wood, Jonathan Groff, Tom Wilkinson, Alexis Bledel, Kevin Kline, John Cullum, Toby Kebbell and James Badge Dale and was directed by Robert Redford. In the wake of Abraham Lincoln’s assassination, seven men and one woman are arrested and charged with conspiring to kill the President, the Vice-President and the Secretary of State. The only woman charged, Mary Surratt, 42, owns a boarding house where John Wilkes Booth and others met and planned the simultaneous attacks. Against the back drop of post Civil War Washington, D.C., Frederick Aiken, a 28 year old Union war hero and a “green” lawyer, reluctantly agrees to defend Surratt before a military tribunal. As the trial unfolds, Aiken realizes his client may be innocent and that she is being used a bait and hostage in order to capture the only conspirator to have escaped a massive manhunt, her own son! This movie was the first completed project of the American Film Company. Their CEO, Joe Ricketts also founded the online brokerage firm Ameritrade and is a partial owner of the Chicago Cubs baseball team. Mr. Ricketts has stated that his goal is to produce high quality and entertaining feature films which will attract adult audiences and be historically accurate. His first effort has earned high praise for its historical accuracy. After the movie be certain to stay for the regularly scheduled Round table meeting, featuring Dr. Bradley Gottfried discussing the Battle of the Wilderness. The Southern Maryland Civil War Round Table is pleased to announce that its next meeting will take place on Tuesday, February 9, 2016 at 7:00pm at the College of Southern Maryland’s Center for Business and Industry, Chaney Enterprises Conference Center, Room BI-113, at 8730 Mitchell Road in La Plata, MD. Join us as we keep it “in the family” this evening! Round Table President Dr. Brad Gottfried will address us, not only as our President, but also about his latest book, “The Battle of the Wilderness: Disaster in the Thickets“. Because of the thick vegetation that enveloped the armies during the battle of the Wilderness, the May 5 & 6, 1864 fight has been considered one of the most misunderstood and confusing battles of the entire Civil War. Brad Gottfried has spent considerable time studying the battle and walking the battlefield in preparation for his new book, The Maps of the Wilderness. Using many of his full-color maps, Gottfried will explain why the battle occurred here, how it played out, and its persisting legacy. Copies of his new book may be available for sale. The Southern Maryland Civil War Round Table invites all to attend this lecture on one of men who saw much of the Civil War from the right hand of the Confederacy’s leading general. Attendance is free for all, but membership is recommended. For information, contact the Round Table’s president, Brad Gottfried, at bgottfried@csmd.edu or 301-934-7625. Tonight we welcome David Born, who will discuss the life and career of Lt. Col. Charles Marshall, who served as an aide de camp, assistant adjutant general and military secretary to Gen. Robert E. Lee. Our September showing of The Hunley was meet with such satisfaction that we decided to do it again. Our good friend Dr. Rich Siciliano will be showing the following movie, prior to our regularly scheduled meeting at 7:00pm. Please note the special start time of 4:47pm, in order to allow a full showing and to accommodate any special set up needs of our guest speaker. Get your popcorn ready! You’re Invited on Tuesday, December 8, 2015, starting at 4:47 p.m., Room BI-113, right before our regular meeting of the Southern Maryland Civil War Round Table. Start the evening with a free screening of Killing Lincoln, the 2013 documentary based on the bestselling book by Bill O’Reilly. The movie looks at Lincoln’s presidency from the eyes of bodyguard Ward Hill Lamon. 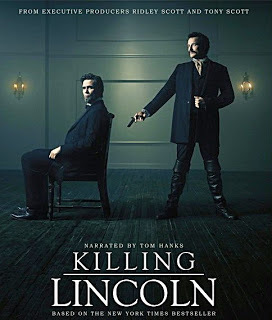 The National Geographic documentary drama looks at the events surrounding the assassination of Lincoln, and the manhunt for his killer, acclaimed actor John Wilkes Booth. It is produced by O’Reilly, along with siblings Tony and Ridley Scott, and directed by Adrian Moat. Starring: Billy Campbell, Jesse Johnson, Geraldine Hughes, and narrated by Tom Hanks. Running Time: about two hours (we will skip the commercials). A few moments of poetic license are taken, so its historical accuracy may be criticized. However, the film is a successful portrayal of the events surrounding Lincoln’s last days, especially the assassination sequence at Ford’s Theater. Keep in mind, however, this is a docudrama and not documentary. The Southern Maryland Civil War Round Table is pleased to announce that its next meeting will take place on Tuesday, December 8, 2015 at 7:00pm at the College of Southern Maryland’s Center for Business and Industry, Chaney Enterprises Conference Center, Room BI-113, at 8730 Mitchell Road in La Plata, MD. Richard Rowland Kirkland of the 2nd South Carolina Infantry is arguably the most famous “common” soldier of the Civil War. Although his act of risking his life to give water and medical aid to enemy soldiers at the battle of Fredericksburg is well known, the rest of his story, along with that of the 2nd South Carolina Infantry is not. Without even mentioning Fredericksburg, this Angel of Marye’s Heights was present at some of most fierce fighting of the war and most iconic locations: Henry House Hill at 1st Bull Run, the Dunker Church at Antietam, the Peach Orchard and Wheatfield at Gettysburg and Snodgrass Hill at Chickamauga. After 15 years of walking in Kirkland’s footsteps from his father’s plantation to the battlefields northward, author Anthony J. Ziebol’s presentation will include stories/photos of the men who stood with him and the fields that were soaked with their blood. The magnet for bullets – Captain (and eventual general) John Doby Kennedy, who survived six wounds and being struck by 15 spent bullets. Anthony J Ziebol is an accomplished journalist and writer from Minneapolis, Minnesota. After receiving a degree in print journalism from the University of Wisconsin-Eau Claire, Mr. Ziebol moved back to the Twin Cities and began writing as a staff reporter for newspapers and as a freelancer for Midwest magazines. He also did promotional writing for the legendary rock club of Prince’s Purple Rain fame, First Avenue. But more than anything, Ziebol loved history and the outdoors and so he went searching for the one story that would leap from the pages and unite his passions. He took solo road trips, some for as many as two weeks at a time, camping near Civil War battlefields, encountering more wild animals than people. In one of these trips, he stumbled into Fredericksburg, VA, where he saw a statue of a common soldier with an incredible story. And he knew the epic of Richard Kirkland had to be told to the world. Since that day, Ziebol has become so knowledgeable about Kirkland’s regiment that he helped edit well-known National Park Service (retired) historian Mac Wyckoff’s latest book, A History of the 2nd South Carolina Infantry, which is now in print. He has also been invited to speak at the prestigious South Carolina Confederate Relic Room and Military Museum in Columbia, SC and will be the keynote speaker at this year’s Richard Kirkland Memorial Service, an annual event in Camden, SC. He also gave a talk on the battlefield at the 150th anniversary of the battle of Chickamauga, where he organized a joint ceremony with the Camden chapter of the Sons of Confederate Veterans and a contingent of the Minnesota Civil War Commemoration Task Force. Ziebol’s first historical novel, “Angel of Marye’s Heights: The Story of Richard Kirkland” has a tentative publishing date of November 2015. After more than a decade of research, this extremely realistic novel (in the same vein as Jeff Shaara) is as close as it gets to a true history of one of the few individuals that is a hero to both sides of the Civil War. With a powerpoint show featuring both period photographs and his own pictures taken while following in Kirkland’s footsteps from South Carolina to Fredericksburg to Gettysburg to Chickamauga, and everything in between, Ziebol will captivate any audience with Kirkland’s incredible story. The Southern Maryland Civil War Round Table invites all to attend this lecture about the incredible act of kindness, mercy and bravery by a so called “common man”. Attendance is free for all, but membership is recommended. For information, contact the Round Table’s president, Brad Gottfried, at bgottfried@csmd.edu or 301-934-7625. The Southern Maryland Civil War Round Table is pleased to announce that its next meeting will take place on Tuesday, November 10, 2015 at 7:00pm at the College of Southern Maryland’s Center for Business and Industry, Chaney Enterprises Conference Center, Room BI-113, at 8730 Mitchell Road in La Plata, MD. Sometimes slimy! Sometimes beautiful! Sometimes bothersome! Sometimes fatal! All can refer to our thoughts about insects; worms, butterflies, bugs and bees. Tonight, join the Southern Maryland Civil War Round Table as Dr. Gary Miller takes us on a journey, showing us the influence of insects during the Civil War. Insects had an important impact on nearly every aspect of soldier life including disease transmission and general annoyances. However, they were also a source of entertainment. This topic brings to light an overlooked aspect of the War. Gary Miller was born and raised in the Pennsylvania Dutch region of Lancaster County, PA. He received his B.A. in Biology from Millersville University, Millersville, PA (1980) and M.S. in Entomology and Plant Pathology from The University of Tennessee, Knoxville (1982). While working as a Research Associate at Auburn University, AL, he was able to pursue his doctorate and received his Ph.D. in Entomology from Auburn University (1991). Dr. Miller began his career with the USDA in 1991 as a Support Scientist with the Systematic Entomology Laboratory (SEL) in Beltsville, MD. In 2004, he was hired as the aphid specialist in SEL where his assignment includes research, service identifications, and curation of the national aphid collection (>90,500 microscope slides). Dr. Miller has published over 135 scientific publications concentrating mostly on aphids and scale insects. He currently serves as the Research Leader for the USDA’s Systematic Entomology Laboratory. In addition to his interest in entomology, he is also a long-time student of the American Civil War. 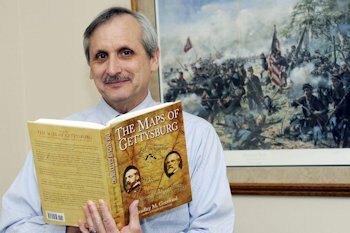 With this combination he is able to provide a unique perspective to the Civil War that includes both history and natural history. Dr. Miller has published several papers on this topic and has co-authored (with Dr. R.K.D. Peterson) the website: Insects, Disease, and History.